CALL TODAY TO FIND OUT IF YOU'RE ELIGIBLE FOR THIS PROGRAM. *Any negative equity will be added to a lease or purchase. On approved credit. Are you interested in trading in and trading up? We get it. 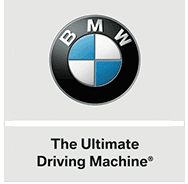 Our BMW dealership is here to present drivers with the amazing Vehicle Exchange Program, which allows Bloomfield, NJ drivers to do exactly what they want. Our vehicle exchange program allows owners financing or leasing a BMW vehicle, meeting certain criteria to upgrade to the current year model for the same or similar payment. Interested? Apply for financing now and talk to one of our trusted BMW experts in Bloomfield, NJ! Check out our new BMW cars for sale in Bloomfield, NJ to see if there's a vehicle on our lot that strikes your fancy. If so, please contact us so we can introduce you to the amazing BMW Specials we have available. You might be able to upgrade from your current model without worry of increasing the payments! Get in touch with our professionals today.